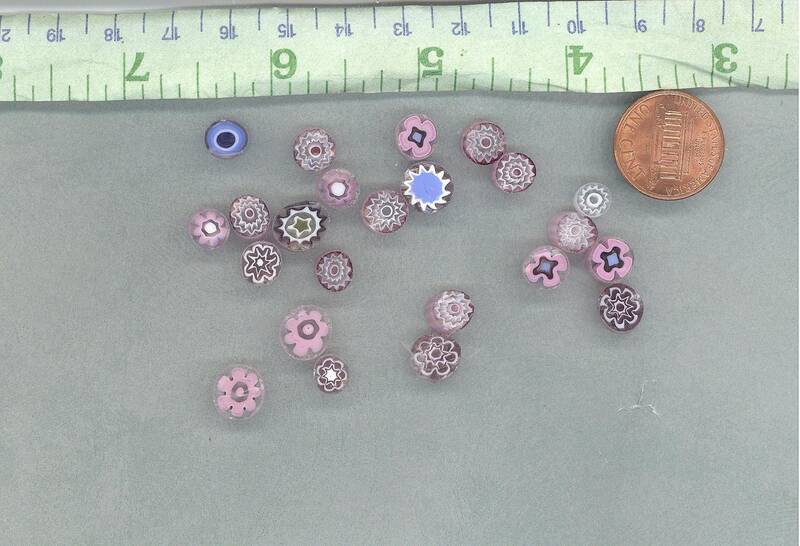 This is 25 grams of small millefiori. 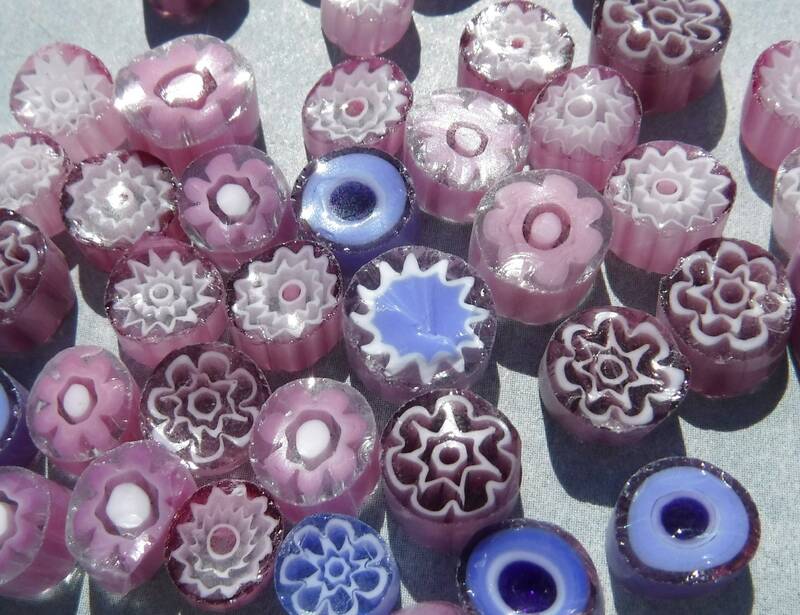 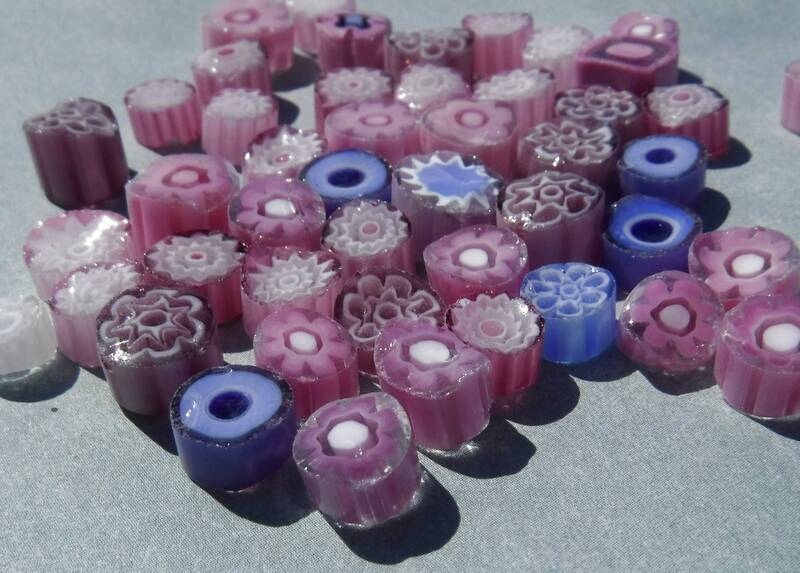 These pieces come in pink and purple colors, with varying accent colors, including white, blue, and red. 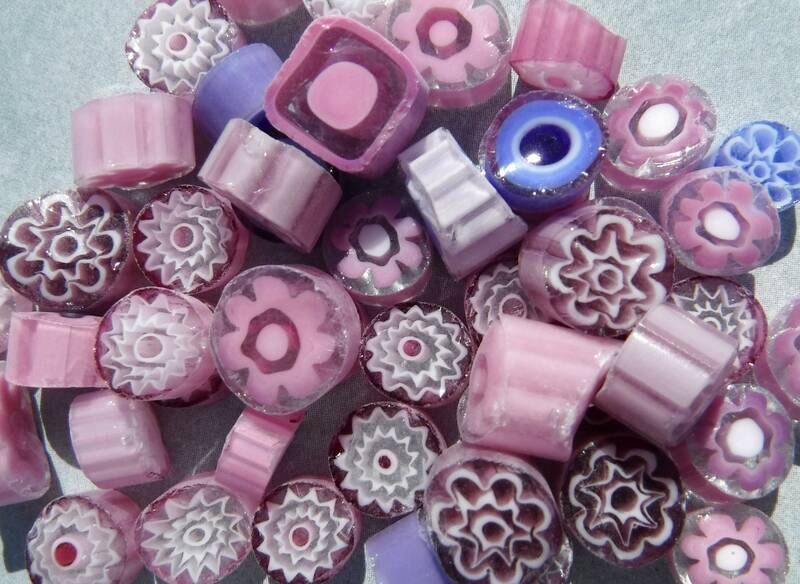 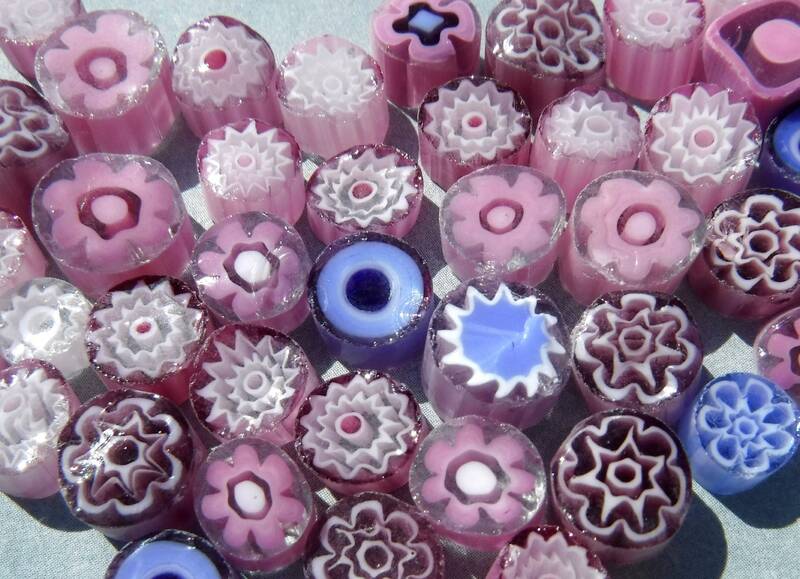 They range in diameter from 5-13mm in size and 2-5mm thick.